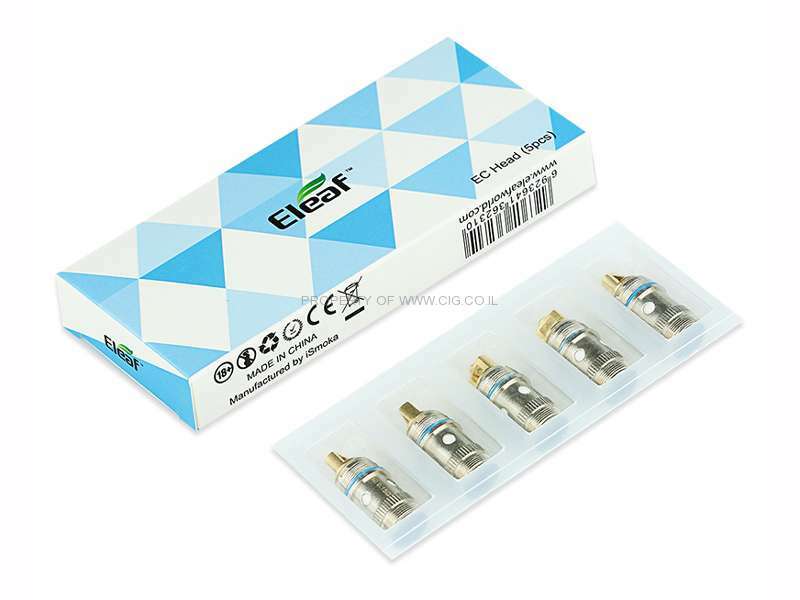 5pcs Eleaf EC / ECL / ECML Coils for Lemo 3, iJust 2, iJust 2 Mini, iJust S, Melo, Melo 2, Melo 3, Melo 3 Mini atomizer and will be available for supplying a profound vaping experience! 1. Bigger air hole allows larger airflow, which caters to the cloud enthusiast's demands. 2. The thread connection at each side enables you to connect atomize base and atomizer tube tightly. 3. 100% organic cotton is used as the wick of atomizer head in order to produce a pure flavor.